As Nonesuch's remaster/reissue program of guitarist Pat Metheny's Geffen-era discography draws to a close, one of the best discs from that period, Question and Answer, finally sounds the way it should, revealing itself to be deserving of even greater accolades than it received when first released in 1990. 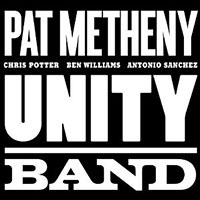 Better known for his flagship Pat Metheny Group, it's on his occasional trio dates that Metheny really stretches outfocusing less on production, composition, and arrangement, and more on just playing. 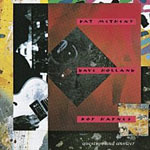 With bassist Dave Holland and drummer Roy Haynes onboard, it's an all-star session, recorded on a single day in late 1989, that finds Metheny at his most spontaneous. It's also memorable as an album where Metheny eschews his usual guitar arsenal, keeping it simple instead with a single warm, gently processed hollow body tone throughout, and no overdubs other than some Synclavier on the closing "Three Flights Up." Elegant, impeccable, and filled with a simmering energy on the up-tempo tracks, Metheny literally re-jumpstarted Haynes' career with this album and subsequent tour. The waltz-time title track, a staple of later Metheny trios, remains best here, without the lengthy guitar synth solo coda that would turn it into an oftentimes over-long and over-the-top show-stopper. 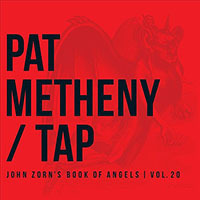 Metheny's been expanding his sonic palette through custom-designed guitars and cutting-edge technology for 30 years, and in most cases it's innovative and imaginative; still, some songs are best left simple and pure, and "Question and Answer" is one of them. The trio generates plenty of heat with the sparest of setups, through an instantaneous chemistry evident from the first notes of the vibrant take on Miles Davis' "Solar" that opens the disc. 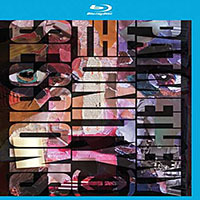 Metheny's playing took a giant leap forward on his classic 1985 collaboration with Ornette Coleman, Song Xreissued, in expanded form, by Nonesuch in 2005. 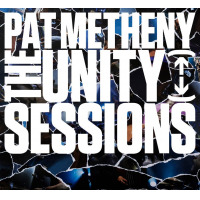 In contrast, Question and Answer is an unapologetically centrist record, but Metheny's playing is more fluid than ever, combining muscular athletics with an ever-present melodic reverence. 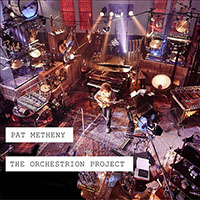 Of the five Metheny originals, the two that stand outmore, even, than the title trackare those where Metheny best manages to merge his Midwestern roots with greater harmonic sophistication: the gentle ballad "Never Too Far Away" and brighter "Change of Heart," where his folk roots are at their strongest, even as he solos with the kind of effervescence and absolute lyricism that has made him a living jazz icon. Still years away from greater success with his late-1990s quintet, Holland's ability to groove and provide subtle pushes to drive the others to unexpected places was already well-established, while Haynes' playing feels like a rebirthat the tender age of 65. Some outtakes or alternate tracks might have been nice, but the warmth and clarity of this overdue remaster makes it easy to forgive their absence. Sometimes it's best not to mess with perfection, and the relaxed integrity and graceful strength that Metheny, Holland, and Haynes bring to Question and Answer makes it a modern classic that's better left just as it is. Track Listing: Solar; Question and Answer; H&H; Never Far Away; Law Years; Change of Heart; All the Things You Are; Old Folks; Three Flights Up. 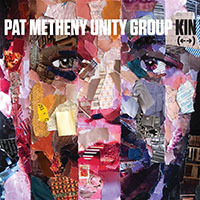 Personnel: Pat Metheny: guitar; Dave Holland: bass; Roy Haynes: drums.